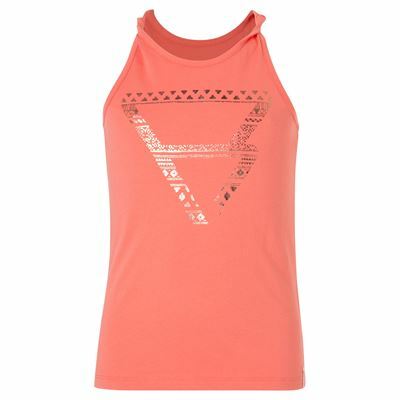 We have a wide range of T-shirts and tops for girls for the summer. Beautiful, high-quality basic T-shirts with a round neck or V-neck. We also have hip T-shirts with for example a wider neckline. Some of the T-shirts have unique details such as pockets with beads, ruffles or strings. We also offer diverse T-shirts and tops with prints: an all-over print or only on the front. Multiple items have been dyed using the garment dye method. This means the T-shirt is stitched together first and then dyed. This makes the fabric extra soft and it gives the item a vintage surf look. Singlets are light sleeveless tops. 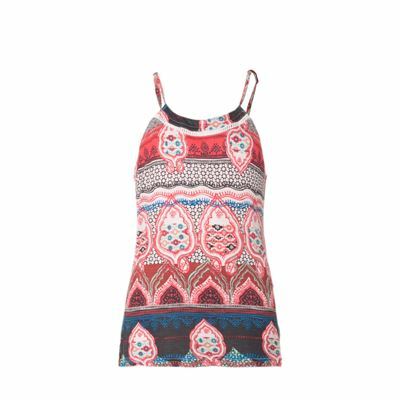 They are indispensable in every girl's summer wardrobe, because this is one of the most comfortable piece of clothing when it is warm. 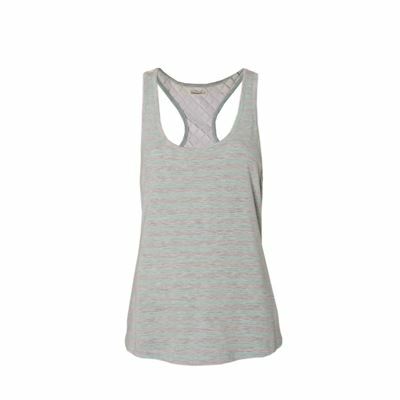 A Brunotti singlet for girls is easy to combine with shorts or a skit. When it is cold, your girl can put a vest on over it. The singlets have nice prints on the front. 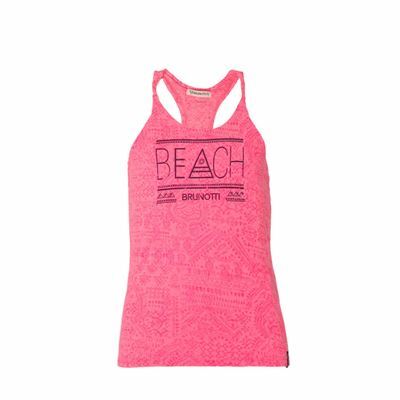 We offer a great variety of tank tops for girls, ranging from tops in monochromatic colors to tops with diverse colors and eye-catching prints. 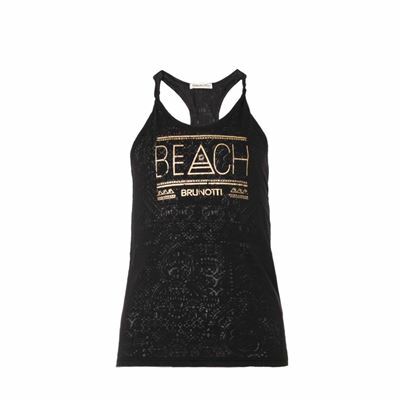 Tank tops are also called singlets or simply sleeveless shirts. 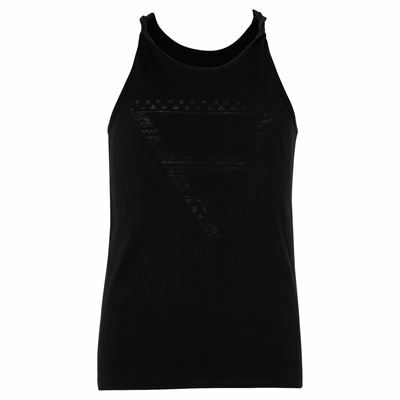 Tanks are light summer clothes that go well with cargo pants or shorts. This is a great look for girls that also fits comfortably, which makes a tank top a wonderful addition to a girl's wardrobe. 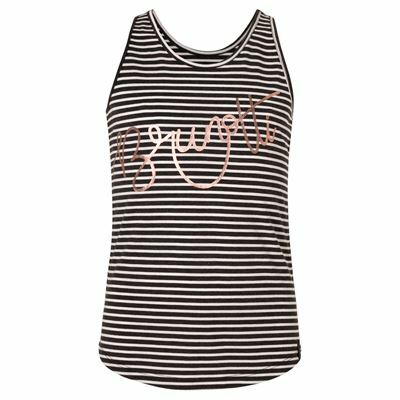 At brunotti.com you can find the largest online collection of Brunotti tank tops for girls. During the summer, there is a wealth of t shirts for girls available. One item that absolutely has to be included in your summer wardrobe is a t shirt. The term "t shirt" is derived from the form of the shirt: it is shaped like the letter T. Tees are short sleeved upper garments. For girls we offer different models online. They don't just differ in model: we also have a wide selection of colors and prints. You can opt for a model with quiet, monochromatic colors, or a shirt with eye-catching and diverse prints. 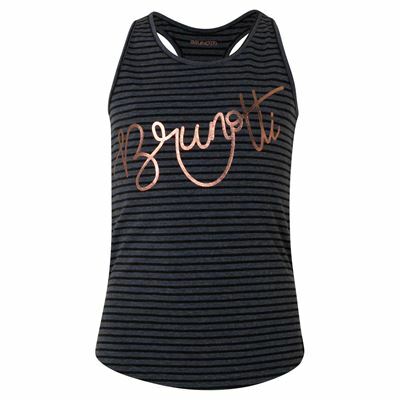 At brunotti.com you can find the largest online collection of Brunotti clothes for girls. Here, you can assemble an entire outfit and order right away. 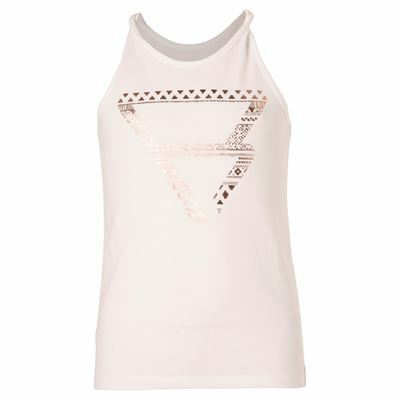 We keep current fashion trends in mind when designing t shirts for girls, but comfort is extremely important as well. The choice of fabric plays a crucial role in comfortableness. T shirts for girs are usually made of a stretchy knit fabric called jersey. Jersey is made of cotton or a blend of cotton and some other material. For girls t shirts, a cotton-elastane blend is also quite common to create an extra stretchy, comfortable fabric. Our collection includes different shirt models for girls, including slim fit t shirts and regular fit shirts. The material used for every girl shirt, as well as the fit, the available colors and the sizes that are still in stock, are listed under product information at brunotti.com. The many advantages of online shopping has led to an increase n kids' clothes that are bought online. Browse the entire collection whenever you have a moment, and shop online at your own pace. 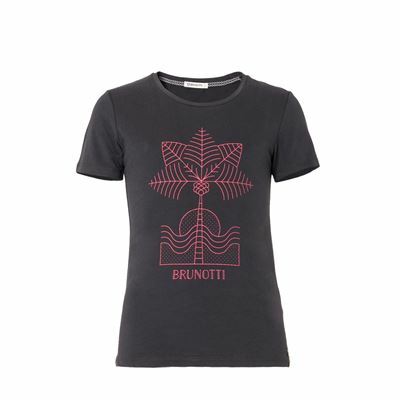 In the Brunotti online shop you can find the largest online collection of Brunotti clothes for girls. Creating a complete look is easy, because you can see right away which sizes are available. We also offer other items in the same fashion that ight match your style. Placing an order is easy, and anything can be purchased securely by paying with iDEAL, PayPal, Visa, Mastercard or through authorized payment. If, in the end, you are dissatisfied with your purchase, you can return the item in its original packaging. You will have the option between either receiving a refund, or trading in the product for something else. There are still some great shirts for girls available in the Brunottishop outlet store.